I've heard that he is a giant fish that will be eaten by the tzadikim when the Messiah arrives. But I've also read that it may be just a metaphor. If it is real, what about the Behemoth and the Ziz? What are they? These haggadot concerning the leviathan are interpreted as allegories by all the commentators with the exception of some ultraconservatives like Baḥya ben Asher ("Shulḥan Arba'," ch. iv., p. 9, col. 3). According to Maimonides, the banquet is an allusion to the spiritual enjoyment of the intellect (commentary on Sanh. i.). The name, he says, is derived from (" to join," "to unite"), and designates an imaginary monster in which are combined the most various animals ("Moreh," iii., ch. xxiii.). In the cabalistic literature the "piercing leviathan" and the "crooked leviathan" (Isa. xxvii. 1), upon which the haggadah concerning the hunting of the animal is based, are interpreted as referring to Satan-Samael and his spouse Lilith ("'Emeḳ ha-Melek," p. 130a), while Ḳimḥi, Abravanel, and others consider the expressions to be allusions to the destruction of the powers which are hostile to the Jews (comp. Manasseh ben Israel, "Nishmat Ḥayyim," p. 48; see also Kohut, "Aruch Completum," s. v. "Leviathan," for other references, and his essay in "Z. D. M. G." vol. xxi., p. 590, for the parallels in Persian literature). The haggadic sayings obtained a hold on the imagination of the poets, who introduced allusions to the banquet of the leviathan into the liturgy. Ever since Bochart ("Hierozoicon," iii. 705), "behemoth" has been taken to denote the hippopotamus; and Jablonski, to make it correspond exactly with that animal, compared an Egyptian form, "p-ehe-mu" (= "water-ox"), which, however, does not exist. 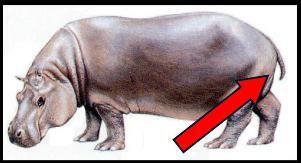 The Biblical description contains mythical elements, and the conclusion is justified that these monsters were not real, though the hippopotamus may have furnished in the main the data for the description. *see also: does one have to take a Midrash/Aggadah literally? Not the answer you're looking for? Browse other questions tagged midrash fish literalism . does one have to take a Midrash/Aggadah literally? Why were birds considered to be flieishig (meat) but not fish? Where in the midrash does it state that David told Yisrael that not everyone will be Torah scholars?